Golfing is a smart way to unwind and relax while networking with business people or just spending some time with the family. Unlike other sports, it is a game that you can engage in when you are well into your eighties. One of the best places to play golf in the world is in Spanish Island of Mallorca. Below are its top courses. This is an 18-hole golf course that was designed by the Gleneagles architects of Scotland. It was opened in year 2000. The golf course is popular for its 6th hole that is 609 meters from the tee. It is said to be the longest hole in Spain. It offers spectacular views of Camp de Mar. It is located on the north east corner of Mallorca. The golf Club has a 73-par, 18-hole golf course that was designed by Jose Cancedo. Its first nine holes offers scenic views of the sea. Located on the foothills of Llevant Natural Park, this golf club is one of the most beautiful courses in Europe. It overlooks the Mediterranean Sea and offers its players fresh sea breeze as they navigate through the course. It was designed by a US architect, Dan Maples, and opened in 1989. Amazingly, it features a world class restaurant called Roca Vida. The main attraction to this golf course is that it is a 9-hole course that is suitable for amateurs and average players. It overlooks the scenic Tramuntana Mountains, olive groves, Albufereta Reserve and Bays of Pollenca and Alcudia. It was opened in 1986. Being an Island, Mallorca has some of the best beaches in the world. After a game of golf, you can dip your sweaty body in the warm Mediterranean waters and then soak in the sun. The island is any golfer's dream. 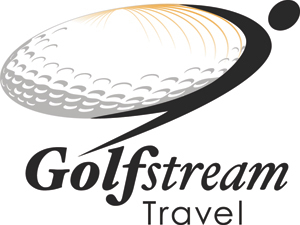 Golf Stream Travel will help you plan your trip to Majorca.